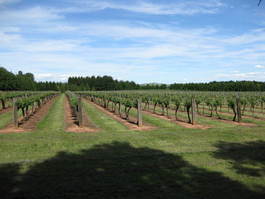 Sons & Brothers Vineyard is located at 935 metres altitude, in the sub-region of Millthorpe on the cool, continental Orange Plateau portion of the Orange Wine Region, NSW. It is owned by Christopher and Kathryn Bourke. 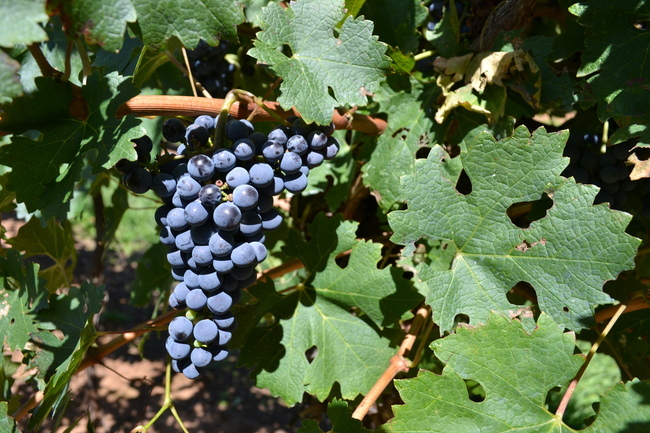 The vineyard is planted on a deep, dark, red-brown, volcanic soil. This soil is a ferrosol (or kraznozem) that was formed from larva flows of about 12 million years ago. The cool continental climatic conditions at Millthorpe are similar to those of Morgon in the Beaujolais Cru area of Southern Burgundy Eastern France. The summer days are warm to hot but the nights are cool. Our estimated Gladstones biologically effective degree days value (adjusted growing season heat summation) is 1228 and a perfect match for Southern Burgundy. 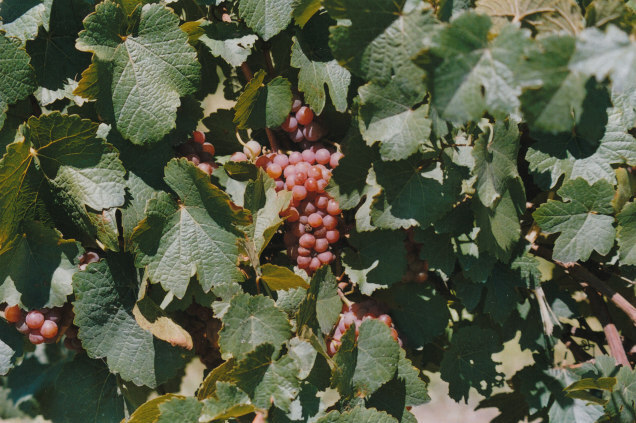 The first wine grapes were planted in what is now the Orange Wine Region in 1952 by Jack Pryde and Harry Manuel. 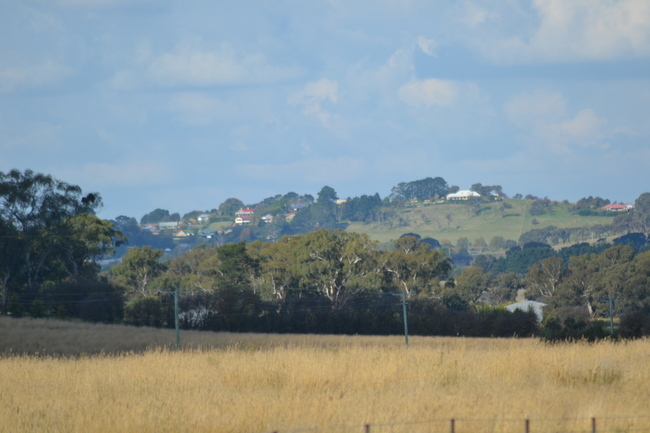 They planted Cabernet Sauvignon and Shiraz vines on Pryde’s farm near Molong, this vineyard was at an elevation of about 610 metres on the western edge of what is now the Orange GI and survived up until 1987. 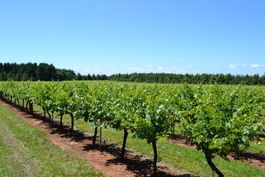 The first planting of wine grapes in the modern era was undertaken by Ted Fardell at Nashdale in 1980 and the second by Christopher Bourke at Millthorpe (Sons & Brothers) in 1981. Equal third place was shared by John Swanson at Cargo Road Wines (then known as Midas Tree) and Stephen Doyle at Bloodwood Wines, both planted in 1983. Today there are more than 65 vineyards in the Orange GI. At Sons & Brothers we grow Cabernet Sauvignon and at our altitude we are at the natural climatic end of this varieties range, as a consequence attention to detail in the day to day management of this variety is crucial if a fully ripe, soft, age-worthy wine is to be produced. We rely upon copper and sulphur sprays for mildew prevention and occasional fertiliser applications to prevent bunch stem necrosis and to improve fruit set and evenness of ripening. We maintain a permanent grass sward between each vine row to enhance soil biology, to increase carbon retention, to encourage favourable insect activity, and to assist rapid rainfall absorption. We maximise ripening by both minimising yields and maintaining a very open canopy. Even though it is the air temperature that ripens Cabernet fruit it is sunlight exposure and soil drainage that have a profound effect on the chemistry that occurs in that fruit as it ripens. Long hang times, high sunlight exposure and excellent soil drainage are essential for Cabernet fruit chemistry to progress beyond unpleasant green flavours and move on to delicious ripe flavours. The fruit yield of cool grown Cabernet must be kept low, our target yield is 1.6 ton per acre or 4 tonne per hectare or 2.6 kg per vine. To meet this challange each vine is trained to a head (no cordon arms) and then four selected canes are tied upwards in the shape of a fan. Our pruning system is a variation on Guyot cane pruning and combines two old Burgundian methods, the Chablis ‘Tow’ system and the Beaujolais ‘Eventail’ or fan system. Four canes and their replacement spurs are kept and then pruned back to give a total of 20 functional nodes. To reduce the risk of frost damage we use a similar high narrow vertical trellis to that used in both Alsace and the French Basque region. Our Cabernet vine density is 1,500 per hectare (600 per acre). 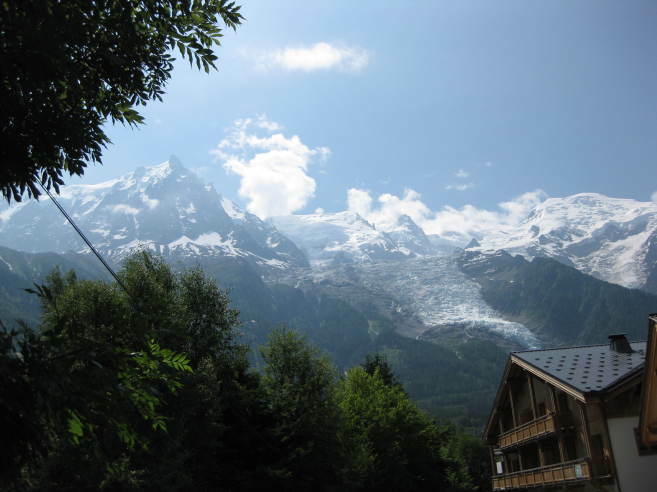 Our average annual rainfall is 850 mm. 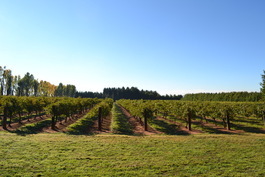 We do not use any irrigation, either during vine establishment or for vine maintenance. 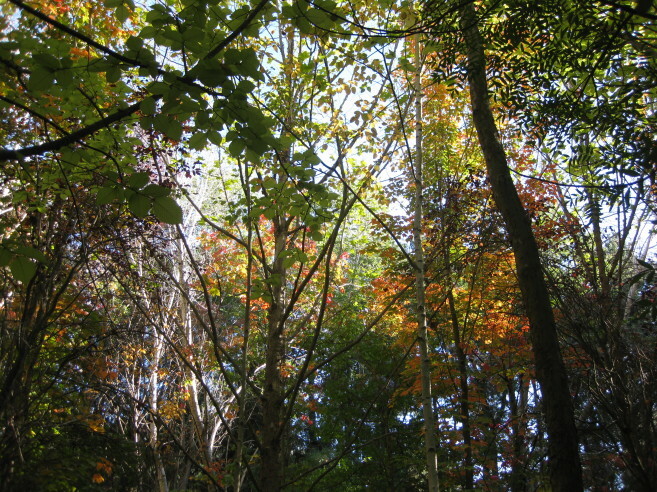 Consequently each vine forms a very deep and extensive root system. Our grapes are always hand-picked and we harvest as late as possible and with Cabernet this usually means mid April. 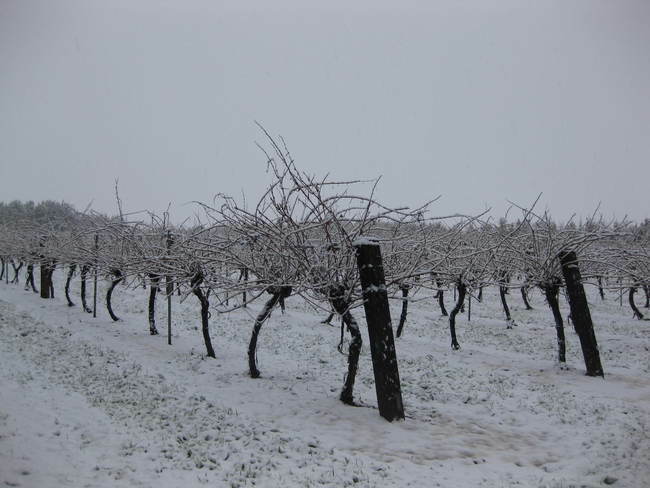 Our vines have to be able to survive frosts in spring and autumn, as well as snow falls in winter. Most of our vineyard is Cabernet Sauvignon, and this includes an old section of Shiraz vines that have been grafted over to Cabernet. Roughly 50% of our Cabernet vines are clone G9V3 and the other 50% are the ‘Reynella’ mass selection clone. We also have a tiny amount of the ‘Dorrien’ mass selection clone. Clone G9V3 came into Australia in 1969 from Davis California where it was known as FPS 07. It is a heat treated hence virus free clone that was collected from the Concannon vineyard in Livermore California in 1965. It came to California from France in the 1930’s and has been the clone most commonly used in the Napa Valley. We suppress its natural vigour by pruning it very hard and this also reduces its potential crop load. Both the ‘Reynella’ selection and the ‘Dorrien’ selection come from South Australia. They originated from the same mother vines, which were established in 1838 at Camden Park NSW by William Macarthur. Macarthur established these Cabernet vines from about six cuttings that he imported from France in that same year. Macarthur’s cuttings were supplied by Messers Barton & Guestier and came off ‘one of the best vineyards near Bordeaux’. This vineyard could have been the Barton owned portion of the Chateau Leoville vineyard in the Saint Julian appellation, but it is more likely that it was the Chateau Lafite vineyard in the adjoining Pauillac appellation. Both vineyards lie within the Haut Medoc on the left bank of the Gironde river just north of Bordeaux. Lafite was a first growth (premier grand crus) vineyard whereas Leoville was only a second growth vineyard. Both were English owned at the time, Lafite by the English banker Sir Samuel Scott and Leoville-Barton by the Barton family. In 1859 when Barton & Guestier supplied 5,200 Cabernet, Malbec, Merlot and Petit Vedot cuttings to Paul de Castella’s Yering vineyard in the Yarra Valley they listed the source vineyard as Chateau Lafite. Likewise when the Melbourne merchant Federick Klemm visited Europe in 1873 and purchased Cabernet cuttings to supply Albert Bruhn’s Emu Creek vineyard at Bendigo his source vineyard was also Chateau Lafite. This consistent trend would support the notion that the William Macarthur vine cuttings also came from Chateau Lafite. Many have assumed that the Busby Cabernet Sauvignon cuttings, collected in 1831 from the Luxembourg Gardens vine collection in Paris, were the source of Australia’s earliest Cabernet plantings, but this is not true. The Busby material that arrived in Australia labelled as Cabernet Sauvignon was found by William Macarthur to be Pinot Gris and this is why Macarthur contacted Barton & Guestier in Bordeaux and organised a supply of genuine Cabernet cuttings in 1838. In 1845 John Reynell purchased Cabernet cuttings from William Macarthur for his Reynella vineyard in South Australia and these vines were the source of the Reynella mass selection which was subsequently used to establish Cabernet in McLaren Vale and Coonawarra. In 1847 Joseph Gilbert also purchased Cabernet cuttings from William Macarthur for his Pewsey Vale vineyard in the Barossa Hills. 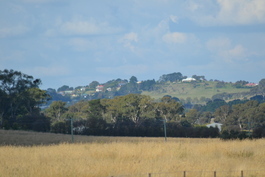 Cabernet cuttings from Pewsey Vale were later planted at ‘Wongalere’ near Williamstown in the Barossa. 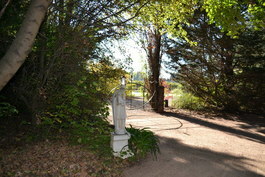 This was a property inherited by Gilbert’s wife Anna Browne. In the mid-1870’s the Gilbert family winemaker was Benno Seppelt. The ‘Dorrien’ selection, which came off old vines growing at Seppelts Cabernet vineyard at Dorrien in the Barossa, appears to have been sourced from Joseph Gilbert’s original vines, hence descendants of the originating Camden Park source vines. Our ‘Reynella’ vines came from the Karrawirra vineyard at Wrattonbully near Coonawarra and our ‘Dorrien’ vines came from a vineyard planted in 1952 at Molong in New South Wales with Dorrien cuttings. The Molong vines consisted of 100 mother vine cuttings collected from Seppelt’s Dorrien vineyard in the Barossa. Cuttings from these Molong vines were later (1961) used by Alf Kurtz to establish the first Cabernet plantings ever made in the Mudgee district of New South Wales. The ‘Reynella’ and ‘Dorrien’ selections are the oldest surviving Cabernet ‘clones’ in Australia, and their pre-phylloxera origins in France would place them amongst the oldest surviving Cabernet ‘clones’ anywhere. They are naturally low yielding, ripen slightly earlier than G9V3, and produce bunches with smaller more intensely flavoured berries. Their potential wine quality is very high. Our vineyard includes a very, very small amount of Jura Savagnin (pronounced ‘sav-an-yen’). Prior to phylloxera, that is prior to 1875, the Savagnin vines planted in the Jura were a mixture of pink fruited and white fruited vine types collectively referred to as ‘Savagnin’. Our Savagnin is a mix of a pink type that was still growing in the Jura as recently as 1810 and a white type that has been growing in the Jura since the middle ages. After phylloxera destroyed the Jura vineyards in the late 1800’s only the more productive white type was replanted hence in the new Jura Savagnin plantings the variety gradually became known as ‘Savagnin Blanc’. 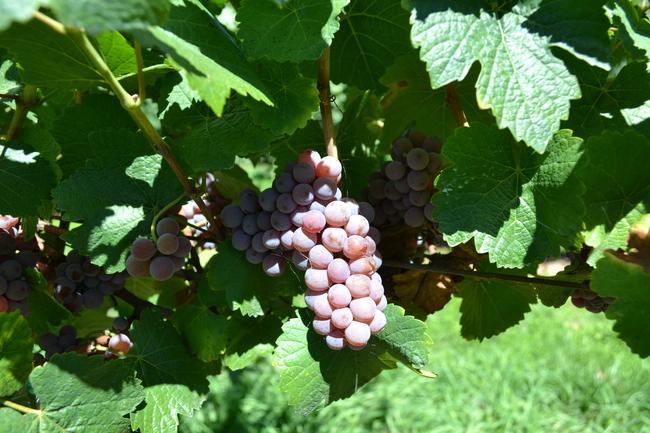 The pink fruited form of Savagnin that we grow is probably the oldest Jura Savagnin Rose Musque (pink fruited, musk type Savagnin) clone still in cultivation. Jura Savagnin is the parent of Sauvignon hence the grandparent of Cabernet Sauvignon. 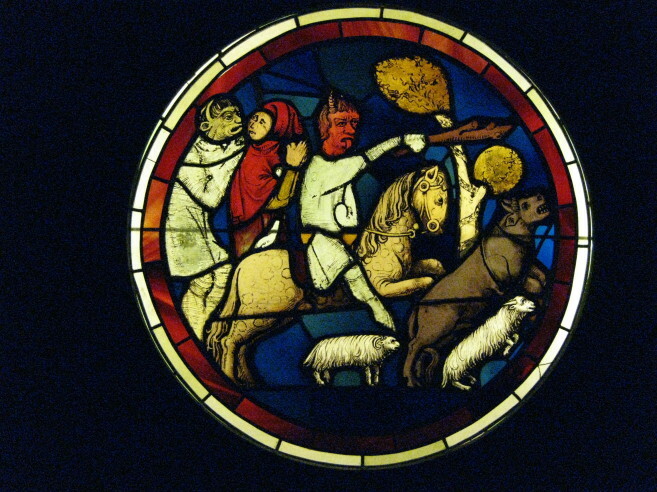 DNA evidence indicates that Pinot Noir (who’s origins lie in the Jura not Burgundy) is the parent of Jura Savagnin and this is consistent with the first appearance of Savagnin at Besancon in the Jura region of France in about 654 AD, and several decades later at Chateau-Chalon where it can still be found today. 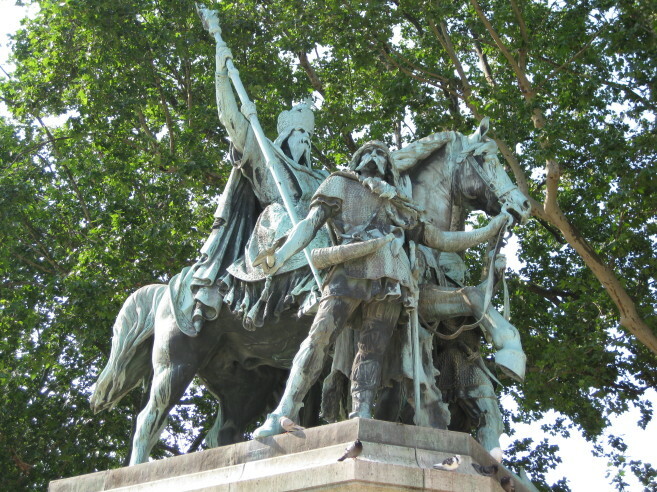 Jura Savagnin had been planted in the vineyards of the Loire valley by the time of Charlemagne because it is the parent of Chenin and Chenin was growing in the Loire before 845 AD. 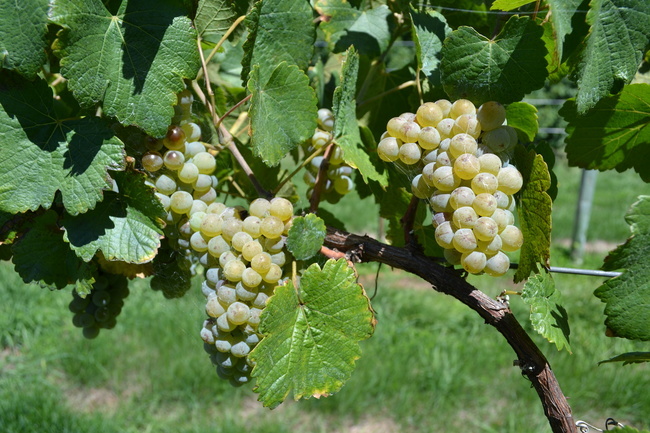 DNA profiling has revealed Jura Savagnin to be the parent of Aubin Blanc in Lorraine, of Petit Meslier in Champagne, of Trousseau in Jura, of Sauvignon Blanc in the upper Loire, of Chenin Blanc in the lower Loire, of Petit Manseng in South West France and of Verdelho in north western Spain and northern Portugal. Jura Savagnin must have reached South West France and north western Spain by the middle-ages because both Petit Manseng and Verdelho have existed there since at least 1220 AD. When James Busby visited France in 1831 he collected vine cuttings from the Montpellier vine collection in southern France and the Luxumbourg Gardens vine collection in Paris. He also collected some additional vines directly from some of the vineyards he visited, most notably Pinot Noir cuttings from Clos de Vougeot in Burgundy. The Luxumbourg Gardens vine collection was initially assembled by Chaptal and Bosc at the request of Napoleon Bonarparte during the period 1801 to 1825. This became the French national vine collection. Duplicates of these vines were used to establish the Montpellier vine collection between 1810 and 1831. Professor Guillaume Delisle provided Busby with cuttings from all of the Montpellier vine varieties on hand in 1831 but at that time Montpellier was about 127 vine varieties short of the full French national vine collection, so Busby had to source these from the Luxumbourg Gardens in Paris. 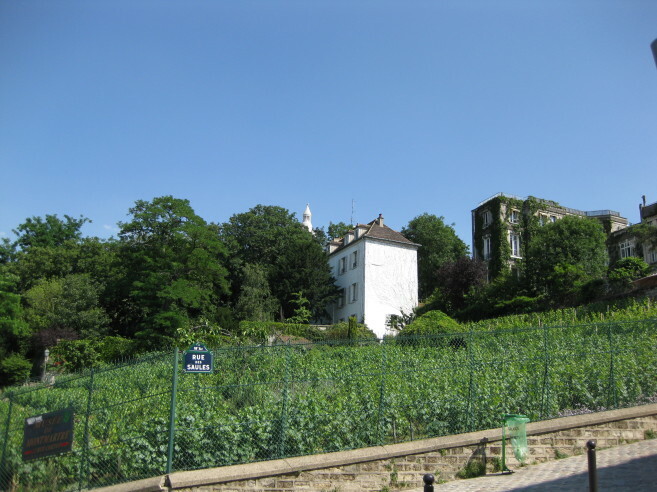 The vineyard manager at the Luxumbourg Gardens was notoriously deceptive, he repeatedly sent incorrectly labeled cuttings to Montpellier to prevent them from establishing a complete duplicate collection, his usual gambit was to supply Chasselas in place of the requested varieties. 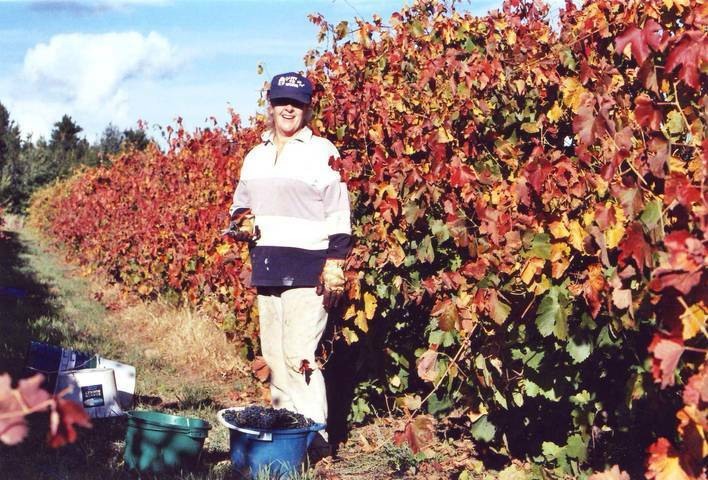 In Busby’s case the vineyard manager was certainly not going to provide an “Englishman” with the full French collection so many of the cuttings that Busby received from Luxumbourg were in fact Pinot Gris and not the requested varieties. 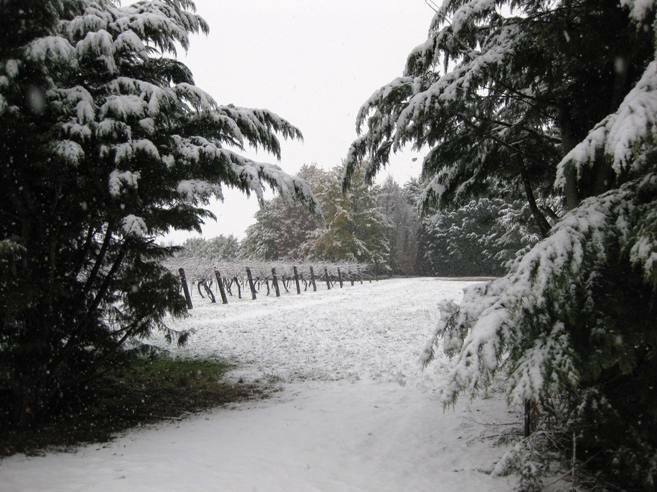 Busby’s Cabernet Sauvignon came out of the Luxumbourg collection and on arrival in Australia it turned out to be Pinot Gris. 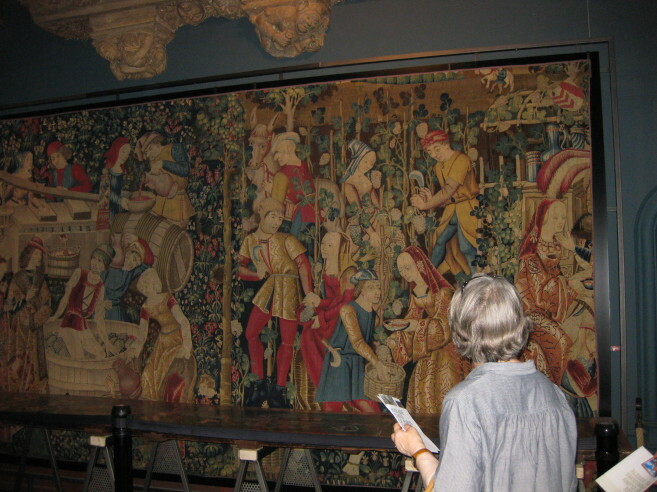 Busby’s ‘Sauvignon du Jura’ came out of the Montpellier collection not the Luxumbourg collection. It was in fact the Savagnin of the Jura but the Napoleonic requirement for the French language to be strict Parisian French and not regional dialect French resulted in the word Savagnin being replaced by the word Sauvignon, both mean “wild”. When Busby’s Savagnin was initially grown in hot coastal New South Wales on neutral pH soils it produced fruit that was yellow-green in colour with only the slightest pink blush hence by 1860 in Australia it was classified as a Savagnin Blanc selection. Later on, in acidic coastal Hunter soils it produced very pale pink fruit, and even later still when it was grown on an acidic volcanic soil in the cool highlands of central New South Wales it produced fruit that was pink-red in colour, demonstrating that it was in fact a Savagnin Rose selection. At Sons & Brothers we grow this old Jura Savagnin selection that Busby collected in France in 1831 and ours are the last surviving descendants of it. A white fruited clone of Savagnin arrived in Australia from Spain in 1989, under the misnomer ‘Albarino’ (pronounced alba-rin-yo). We have added this clone of Savagnin to our Savagnin vines at Sons & Brothers. We can confirm that the fruit colour remains yellow-green and does not turn pink-red under our cool highland growing conditions and on our acidic volcanic, iron rich soils. Likewise under our conditions this clone is aromatic but not musky. This clone was originally collected in the Galicia region of northwestern Spain. 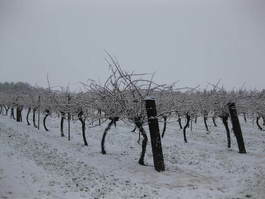 Its ancestor vines are most likely to have arrived at Galica from French Navarre in about 1168 AD. The Benedictine abbey of Roncevaux, in old French Navarre, had around 1120 AD established a collection of grape vine types at its Priory vineyards located in the Basque district of Irouleguy. 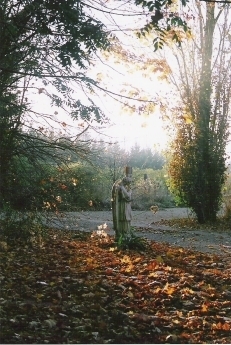 Vine cuttings from Irouleguy were collected by the monks of Roncevaux, in about 1168 AD, and taken to establish a vineyard at the newly built Abbey of Santa Maria de Armenteira in Galicia, northern Spain. Once in Spain the names of these vines were changed from French to Spanish ones. One of these vines was Jura Savagnin. The name Albarino has been used over many centuries to refer to at least four vine varieties grown in Galicia, including Savagnin. White fruited Savagnin had become a very rare French variety by 1900 (restricted to the Jura) and so for the Spanish to suggest that it must have been imported into northern Spain during the post-phylloxera replanting of the early 1900’s defies common sense. White fruited Savagnin was very unlikely to find its way into remote Galicia and neighbouring Asturias, but apparently nowhere else in Spain in the early 1900’s, without leaving some documented trace of its existence, under a specific French or associated Spanish varietal name. But in fact it has never been known anywhere in Spain under any name other than in Galicia and Asturias under the name ‘Albarino’. This is because Savagnin came into Galicia and Asturias as part of the vine mix introduced by the monks of Roncevaux way back in 1168 AD, just as the Galician historian Jose Maria Castroviejo has always confidently stated. CSIRO by accident has saved the medieval white Galician clone from extinction and Sons & Brothers has intentionally saved the old pink Jura clone from a similar fate. Adding about 5 or 6% of Savagnin to a Cabernet ferment has a similar effect to the addition of the same amount of Viognier to a Shiraz ferment. Busby’s Savagnin vine importation was alive in the Sydney Botanic Gardens vineyard in 1832 but dead by 1842. Only George Wyndham of ‘Dalwood’ in the Hunter River Valley appears to have taken cuttings of this vine from the Botanic Gardens during this period. He was interested in fortified wine styles and he would have known that Jura Savagnin had been used to make a Fino Sherry-like wine in France, called ‘yellow wine’. He established the first Australian Savagnin vines at ‘Dalwood’ in about 1834 and then in 1849 he took cuttings from these to establish more Savagnin vines at Inverell (northern NSW). Cuttings from ‘Dalwood’ were planted at Pokolbin in 1880 by Charles King, and at Minchinbury in 1916 by Penfolds. Charles King’s Pokolbin vineyard later became Maurice O’Shea’s Mount Pleasant vineyard and the Savagnin (later renamed Traminer) block survived there until 1986. 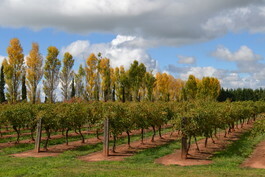 This block provided cuttings for four other NSW vineyards during its life. In 1882 the French-Australian vine expert Henry Bonnard confirmed that this Busby vine was the Savagnin of the Jura even though it was imported under the misleading name of ‘Sauvignon du Jura’. Australians at the time had difficulty pronouncing the word Savagnin (Savanyen), as they still do, so they called the vine ‘Savannah’ a corruption of the word ‘Savanyen’. In 1919 Leo Buring, then working at the Minchinbury vineyard near Sydney which grew ‘Savannah’, had to put a less colloquial name on his Penfolds wine labels for the Savagnin wines he was making, so he took part of the corrupted name ‘Savannah’ and part of the easier to pronounce German synonym for the variety, namely Traminer, and produced the novel name ‘Trameah’, easy to pronounce and not Germanic (remember that the recent world war had made German names very unpopular). Penfolds continued to use the name ‘Trameah’ for their Minchinbury Savagnin wines right up until the 1960’s although by this stage neither the Minchinbury vines nor the Pokolbin vines at Maurice O’Shea’s vineyard were being called Savagnin, Savanyen, Savannah, or Trameah any more, the easier to pronounce German synonym for this variety, namely ‘Traminer’ having been universally adopted. To increase the production runs of Trameah, Penfolds eventually started to add some Riesling to the wine, and this overtime led to the widespread use of this blend plus residual sweetness by many other wine companies and ultimately the total destruction of Traminer as a marketable quality dry wine style.